The market for mobile applications is growing. Between 2009 and 2013, the rate of app download has increased 20 times. This is enough to indicate that mobile app development is one of the most lucrative businesses today. Most businesses depend on mobile apps to strengthen their presence in the market. With more and more people turning onto smartphones, it is imperative that businesses also have to create mobile applications to find new customers. A mobile app development Sydney Company can use some tips for developing better mobile applications. The developer must remember that beauty is relative to a platform. The user interface, which can be totally different across platforms, needs to be well-designed and beautiful. However, the idea of a beautiful iOS app is remarkably different from that of a beautiful Android app. This is primarily because beauty is relative to a platform. Before designing an app, a developer must take some time and learn how the target platforms function. This helps the developer in implementing his branding around the specific parameters of the target platforms. Even if the app renders variedly across platforms, it is still possible to use a single code base with Appcelerator and have a considerably higher percentage of code re-usability. An iPhone app design Sydney professional must remember that code reuse is for the logic of the app and not necessarily for user interface. There are a number of confusions about code reuse with a cross-platform tool. It is not reasonable to expect 100% code reuse because it not only implies that one would have minimum control over the UX / UI of his app, but also means that the app would appear the same across each and every target platform. 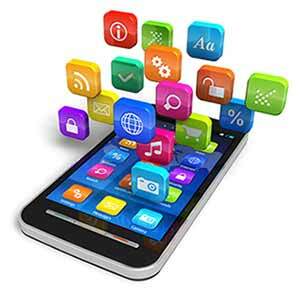 A mobile app development Sydney company must always focus on web service. Those who are developing cross-platform apps must build their code to be totally abstracted as though it is a web service. All of the programming logic must be made completely independent from the platforms and screens on which it will be running, so that all of the programming modules are reusable across platforms and are platform-agnostic. The native user interfaces that will consume the “local” web services should then be built. With the use of this architecture, a developer can ensure that all user interface code is totally decoupled from logic, and thus both flow independently. Whenever it comes to developing mobile apps, one always needs to think around web service. A developer who is able to make this mental shift is able to deliver better mobile apps. More importantly, this approach ensures that it does not make any difference whatsoever if one is using a ViewPager on Android or a TabbedBar on iOS. At the end of it all, the UI code is only a consumer of the developer’s app logic. An iPhone app design Sydney professional must remember that tabs can be shallow as well as deep. Android tabs, for example, are shallow and should not be having any in-tab navigation. iOS tabs, however, have an in-built Navigation Controller that enables multiple navigation levels inside every tab. When a developer is testing an app, he must be asking himself whether he himself would be using and enjoying the app in question. There are a number of reputed and reliable mobile app developers and designers. A thorough search on the internet enables one to find an efficient iPhone app designer or a competent mobile app developer in Sydney. The motto of these developers is to create something unique and innovative. It is important for the app developers to use the vision of the clients before creating an app. Technology, Team, Expertise, Affordability, Experience: At webdesigncity we develop apps that can cater to the needs of users across 4 diverse platforms, namely IOS for iPhone and iPad, blackberry, Android for Google Play store and Windows for lumia phones. Our services include middleware development, automated testing, digital strategy, interface design, quality assurance and web services. So contact our friendly staff on 02 9086 9178.